My family and I took our first ever ski trip to the French Alps recently and discovered the wonders of an active holiday with lively children. I cannot recommend it enough. For once, our children were interested in something that didn't involve staring at a screen and their ability to just boldly, set off, head first, down a mountain, put me to shame. Whilst we were away, there was little time to keep up with blogging, so I apologise for the lack of cocktail recipes, but I have prepared a bumper selection this week which all feature, in varying degrees, the French Alpine liqueur, local to the Courchevel area, Genepi. Génépi is a liqueur or aperitif, similar in makeup to absinthe. The word is also used to refer to alpine plants of the genus Artemisia (commonly called wormwood) that provide the liqueur's flavour and colour. Like many European herbal liqueurs, especially those used as digestifs, Génépi can be an acquired taste. It is less sweet than many digestifs, and the flavour imparted by the herbs is reminiscent of chamomile. It is naturally pale gold in color, but some varieties have a final maceration of the wormwood which yields a light green color. A few commercial products are made bright green through the addition of food colouring. Because Génépi is produced by steeping the aromatic wormwood flower heads in a strong, clear alcohol such as vodka or pure grain alcohol rather than distilling or fermenting, it cannot be considered an equivalent to French eau-de-vie. Also, the added sweetness marks it out as a liqueur, rather than a spirit. Anyway, back to the infinitely more palatable, Genepi. Most of this week's cocktails would probably work equally well with Absinthe, particularly as many commercially available bottles are closer to the 40 % proof of Genepi anyway, but you can buy Genepi in this country and it's not a bad little drink. As well as it's cocktail potential, you can enjoy it straight up, chilled or over ice as a digestif. 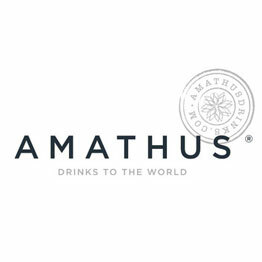 The wonderful Amathus Drinks sell it online or from their London stores, where knowledgeable staff are happy to assist. There were quite a few other ingredients needed for this week's selection, all of which can also be sourced from Amathus as full size bottles. However, I decided to play it safe and try out some of the ingredients in miniature as I wasn't sure how often they would get used. The Creme de Peche de Vigne could not be sourced from Just Miniatures, but they were able to provide me with Creme de Cassis, Creme de Violette and Luxardo Maraschino Liqueur. I paid a little more for express service and was not disappointed as everything arrived within 2 days. I have to be honest, not everything was to my taste this week, but I will give you all the recipes, my honest opinion and ways in which I think they could be improved, if any. First up is La Poudre, a cocktail which can be found in many of the bars in and around Courchevel. 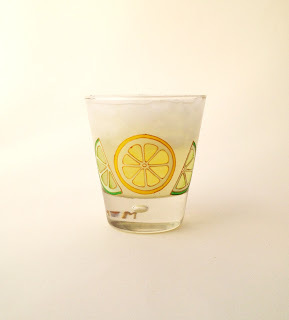 I found this to be a little cloying and personally, would add an ounce of lemon juice just to give it a bit more bite, but if you like it sweet, then this is for you. Next up was the L'Arc de Triomphe, originally devised as an Absinthe cocktail, but working beautifully with Genepi. Featuring the unique influence of bitter orange marmalade, this cocktail from Scott Baird of 15 Romolo and the Bon Vivants in San Francisco is a bold and colorful quaff. It's not too alcoholic, but truly delicious and perfect for an afternoon tipple. I think, of all the cocktails, this one was my favourite. Add the Genepi, orange juice, lemon juice, marmalade, egg white, and a dash of Angostura to a shaker and whisk by hand, until frothy. Add ice, and shake well to make cold. Strain into a chilled tumbler and enjoy. Another delicious and infinitely more potent cocktail was the Hobnob. Again, it was originally created as a cocktail with Absinthe, but Genepi works very well too. The grapefruit and lime really give the cocktail some bite, not to mention the heavy shot of alcohol. As a daytime drink, I would just use 1 oz of gin or you may find yourself under the table by tea time. Add grapefruit zest, lime zest, and simple syrup to a cocktail shaker. Muddle the zests until they begin to break apart. Add the grapefruit juice and lime juice. Fill the shaker with ice. Add the Genepi, gin and maraschino liqueur. Shake hard. 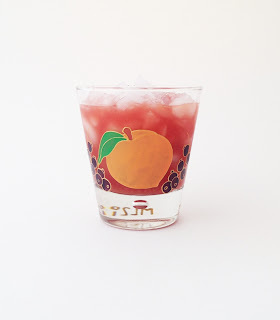 Strain the drink into the prepared glass. 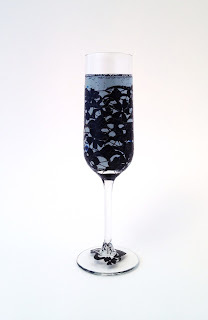 This is a version of the cocktail Death in the Afternoon (absinthe and champagne), which was created for a 1935 book of humorous cocktail riffs called So Red the Nose, or Breath in the Afternoon. While Death in the Afternoon is a great name, it is a little lacking as far as drinks go. The addition of crème de violette has a rounding effect and gives the drink some subtlety. I have substituted the absinthe for Genepi and although I enjoyed the result, Mr Toasted Glass said it tasted as though I had added Blueberry Nerds (horrid kiddy candy) to it. Admittedly, I do like anything that involves a bit of fizz and have adored Parma Violet sweets since I was a child, so I may be rather biased. 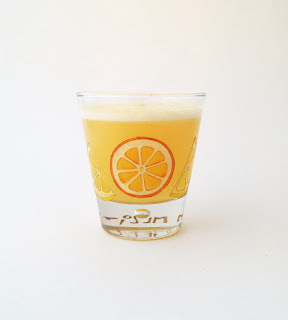 Click here to read an earlier post with the original Death in the Afternoon recipe. Pour the crème de violette and wine into a flute and float the Genepi on top. Serve.